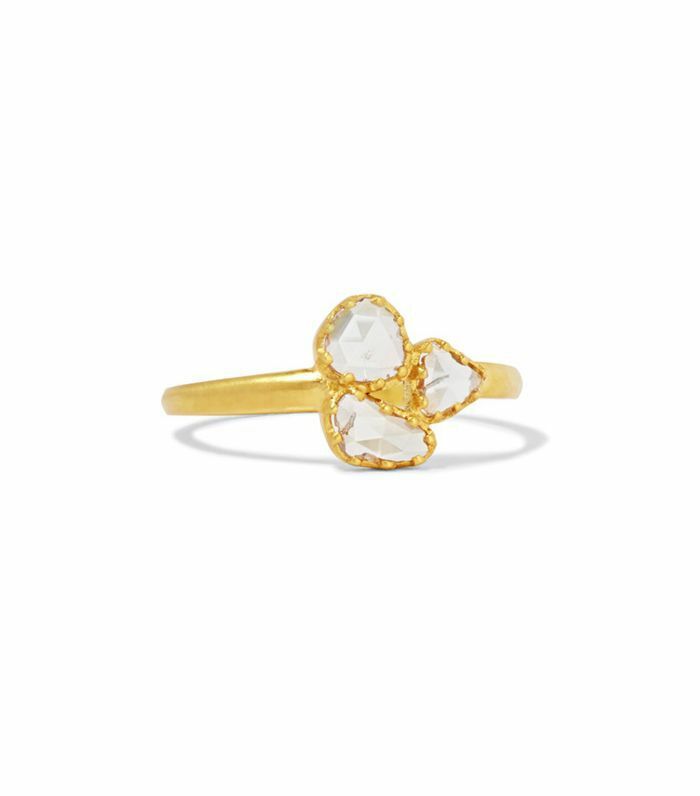 Engagement rings symbolize much more than the commitment to spend the rest of your life with one person—they're a representation of your relationship with your S.O., as well as your personal style. 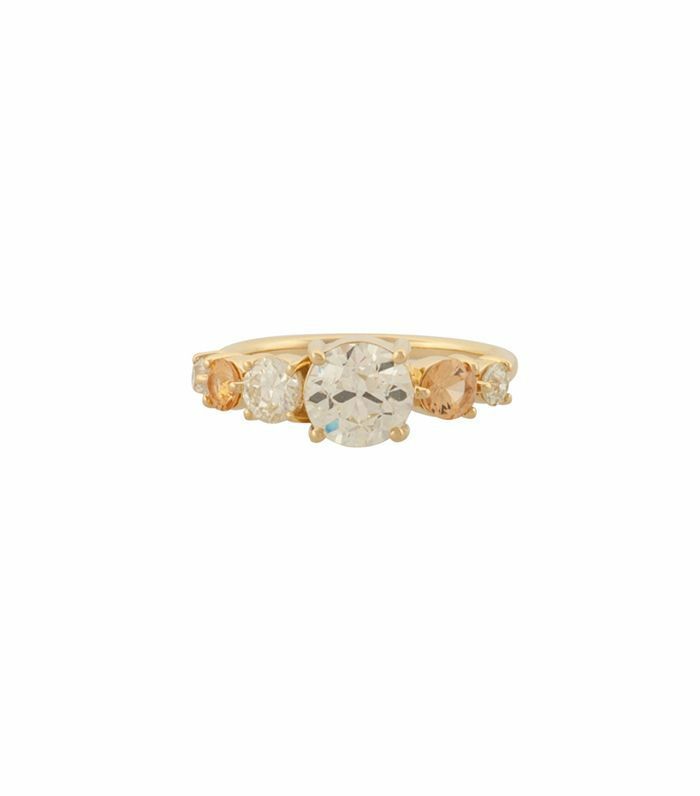 So it's only natural that more and more brides are starting to gravitate toward nontraditional wedding rings that are as unique as they are. 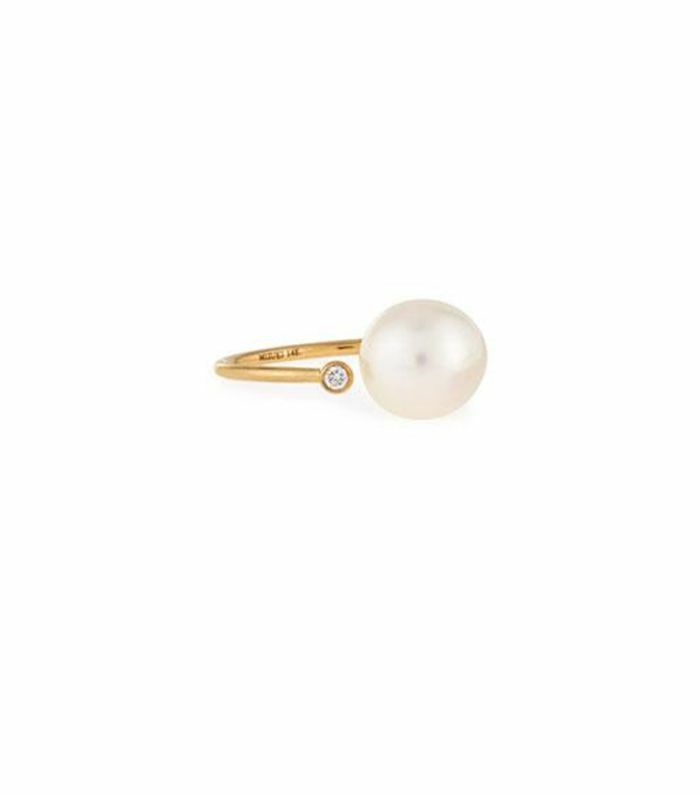 "There has been a big shift," New York–based jeweler Anna Sheffield tells MyDomaine. "Part of it is that people are more interested in [how a ring reflects their] core values. 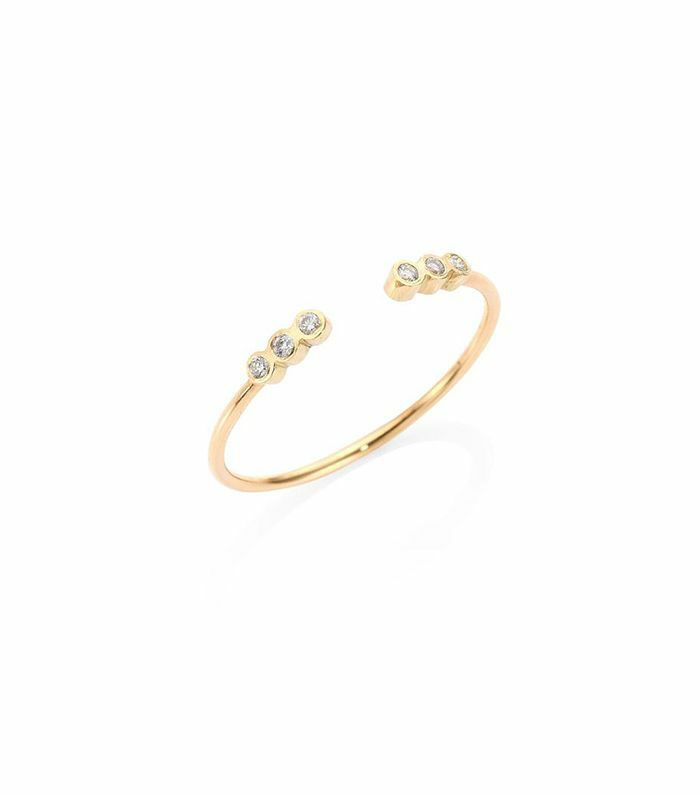 We want conflict-free diamonds, recycled gold, and reclaimed stones." 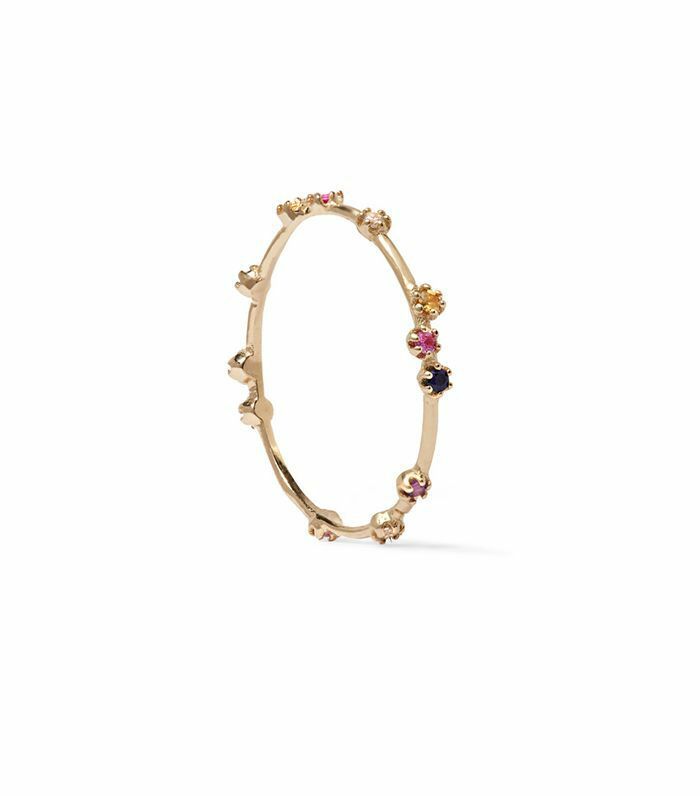 She also points out that modern brides-to-be are less concerned with "status quo" rings, instead opting for mixed metals, colored antique stones, and curved bands that stack. Not quite the classic solitaire type? 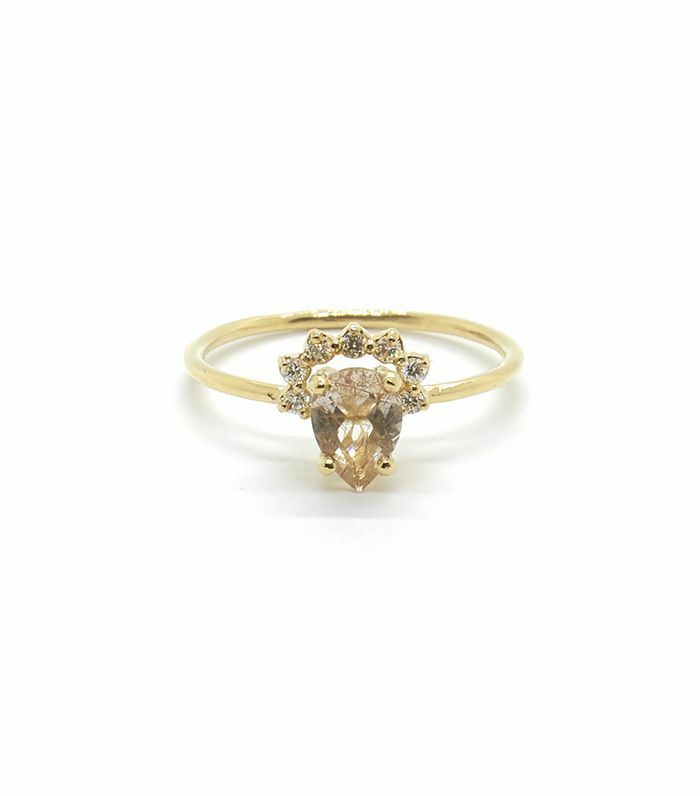 Start with these 21 nontraditional rings that speak to your style. This 14-karat gold ring is topped with 0.32 carats of blue and gray Malawi sapphires. A pear-cut rutilated quartz makes a unique centerpiece with a fine half crown of white diamonds. 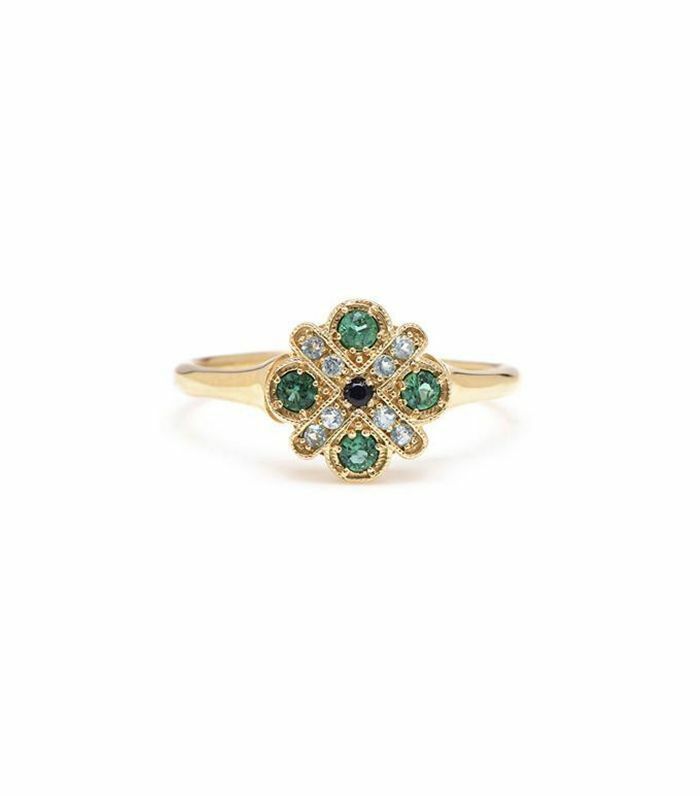 Four emeralds form a cross with tiny aquamarines and a center black diamond. 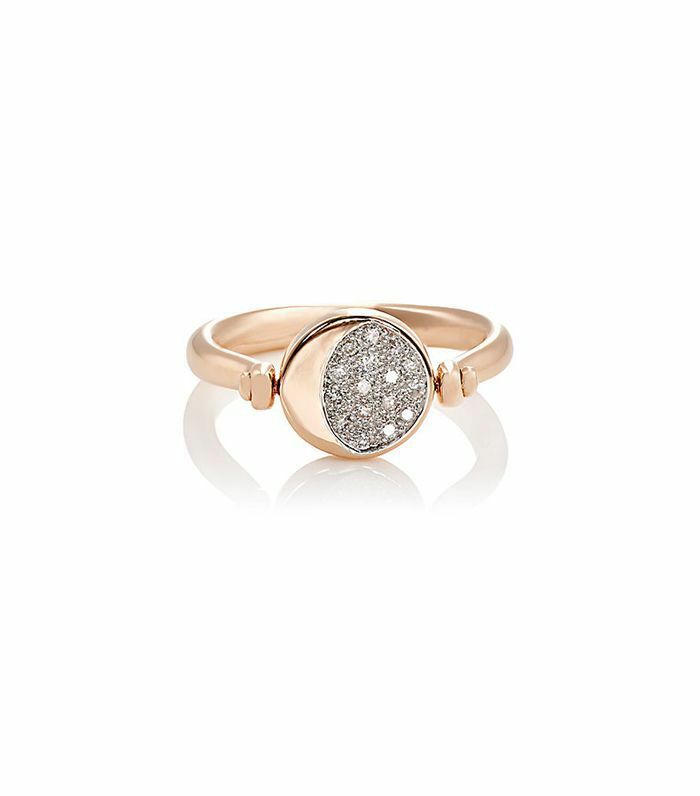 A reversible moon ring made from 18-karat rose gold and pavé white diamonds. 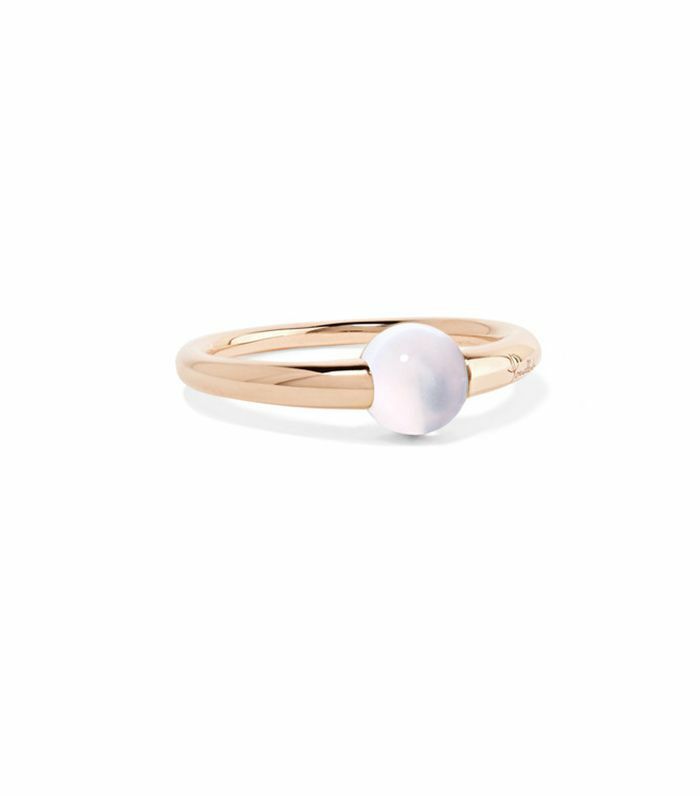 Forget diamonds—this moonstone ring makes a compelling case to buck tradition. 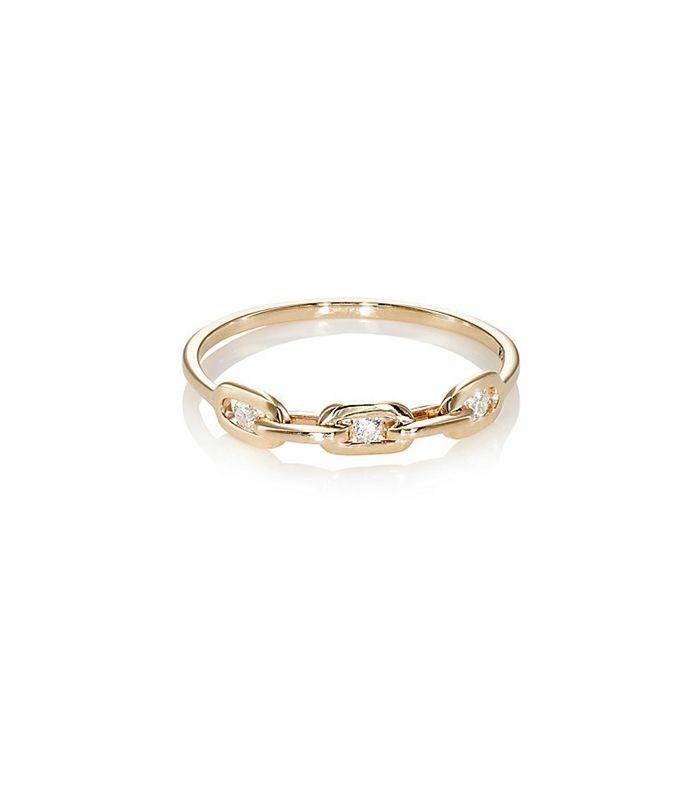 A champagne diamond flanked by two white diamonds on a yellow gold thin band. A custom-made ring featuring a .78-carat center diamond in a rose-gold setting. 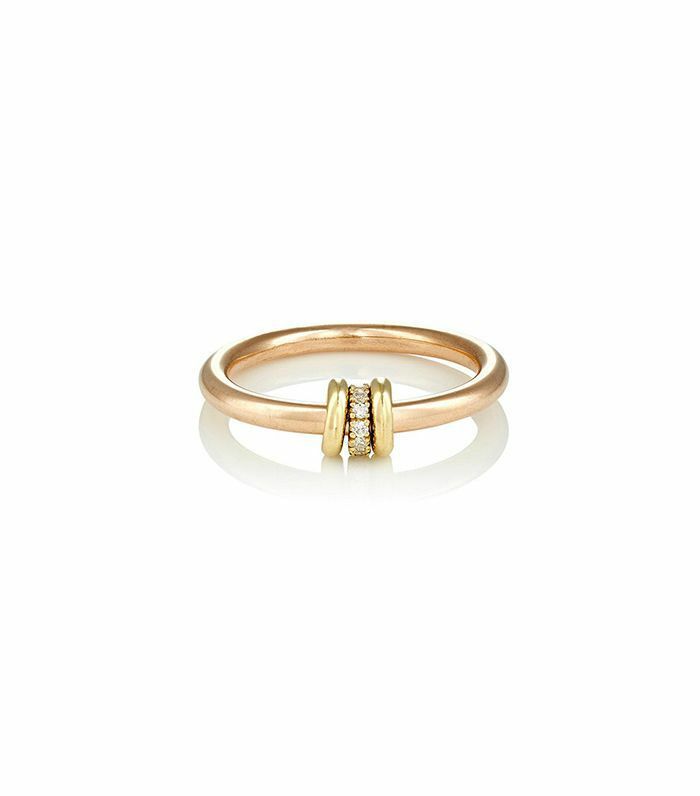 Bold yet understated, this gold-and-diamond link-shaped ring strikes the perfect balance. 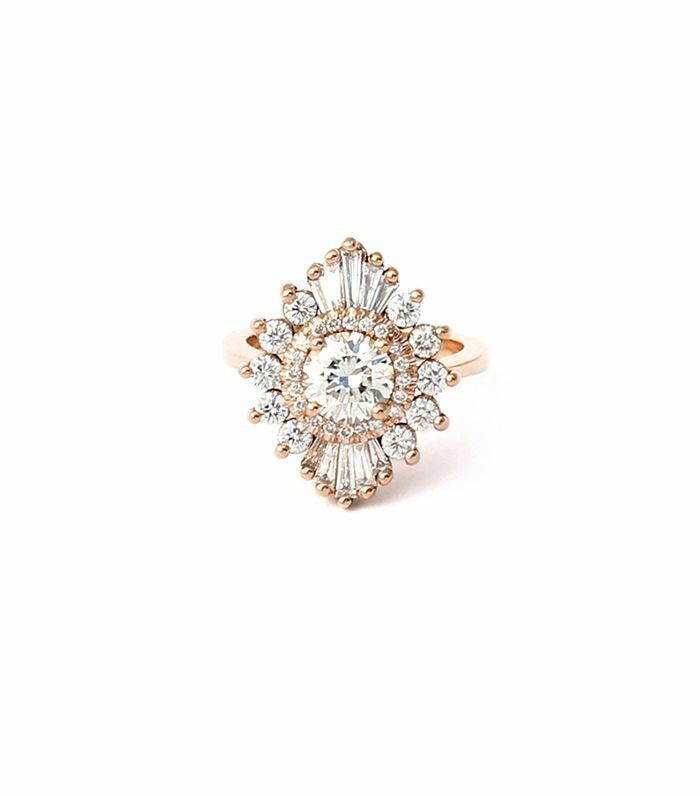 An old European-inspired one-of-a-kind ring, featuring peach sapphires and accent diamonds. 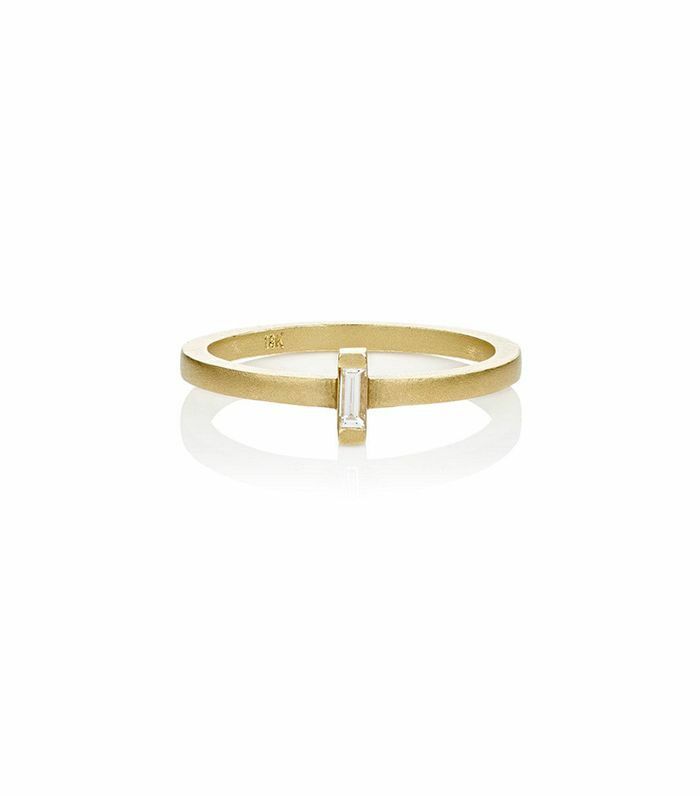 Crafted from satin-finished 18-karat cashmere gold, this delicate band sparkles with champagne diamonds. Love yellow and rose gold? Why not have both with this sliding charm ring? Not a fan of bling? Consider a naturally colored freshwater cultured pearl like this one. 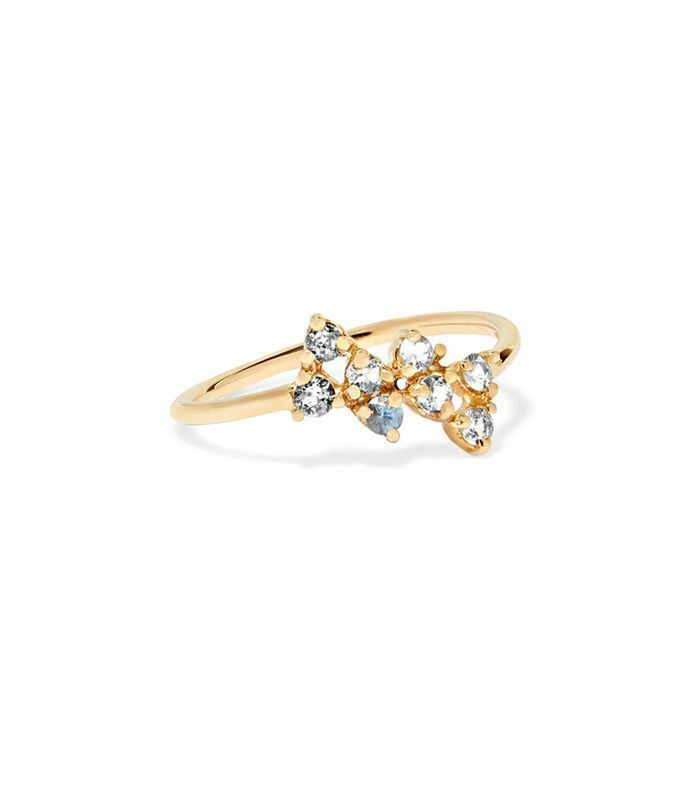 Inspired by the night sky, this 14-karat yellow gold ring is handmade in Montreal. 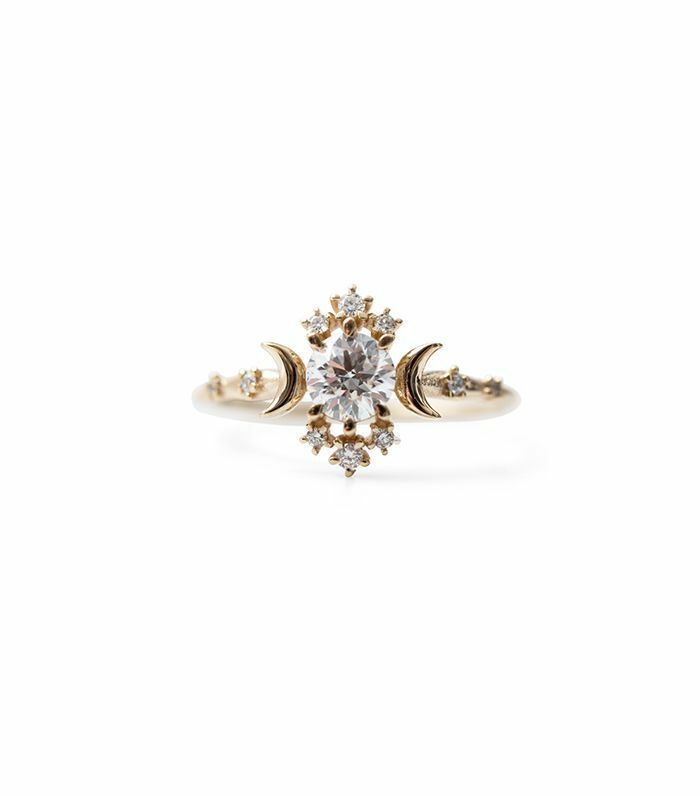 Six dainty round diamonds create a crown-like 14-karat gold ring. 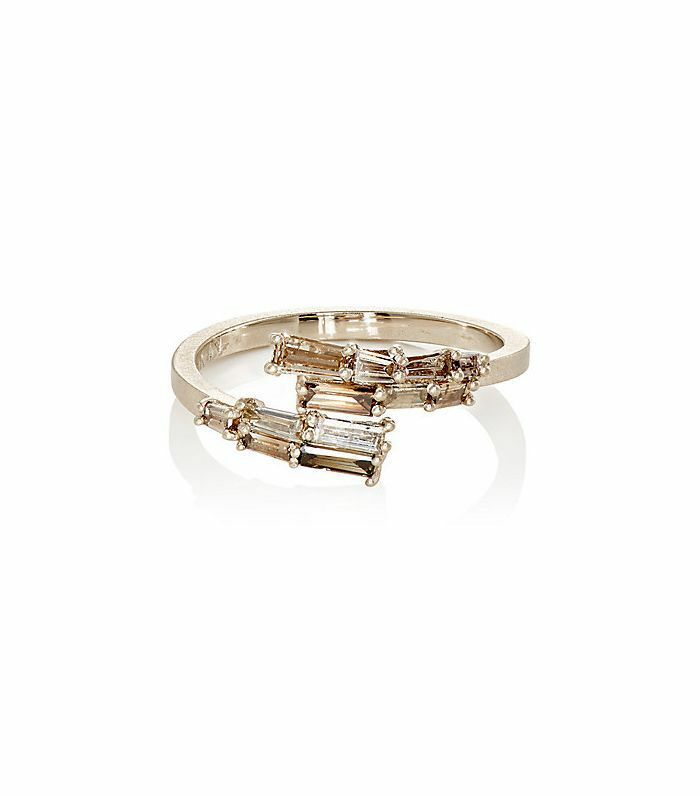 A cluster of faceted diamonds, totaling 0.585 carats in weight, set in a matte-finish gold band. 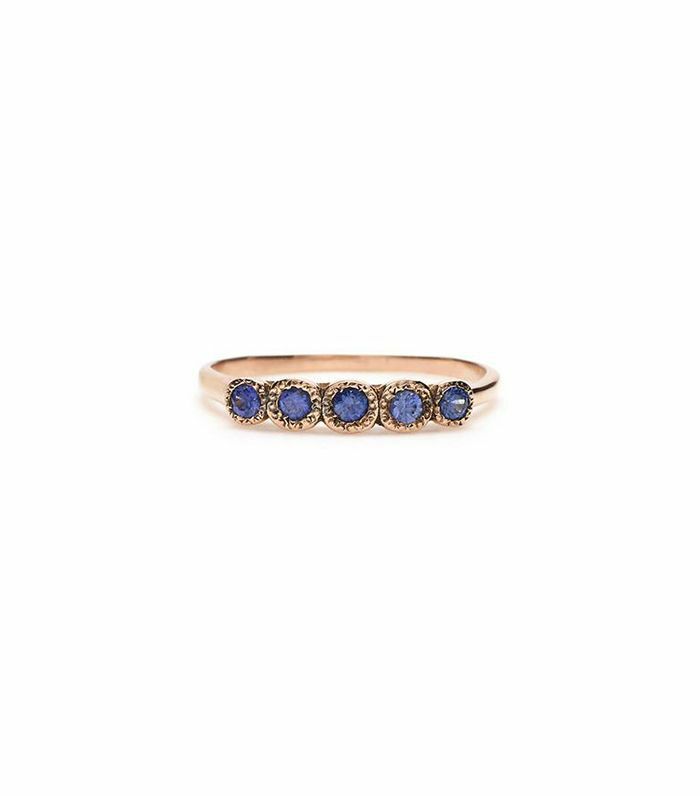 Five tiny sapphires sit in a textured bezel Victorian-inspired setting. Three square-cut diamonds line up in a row in a solid 14-karat white gold face. 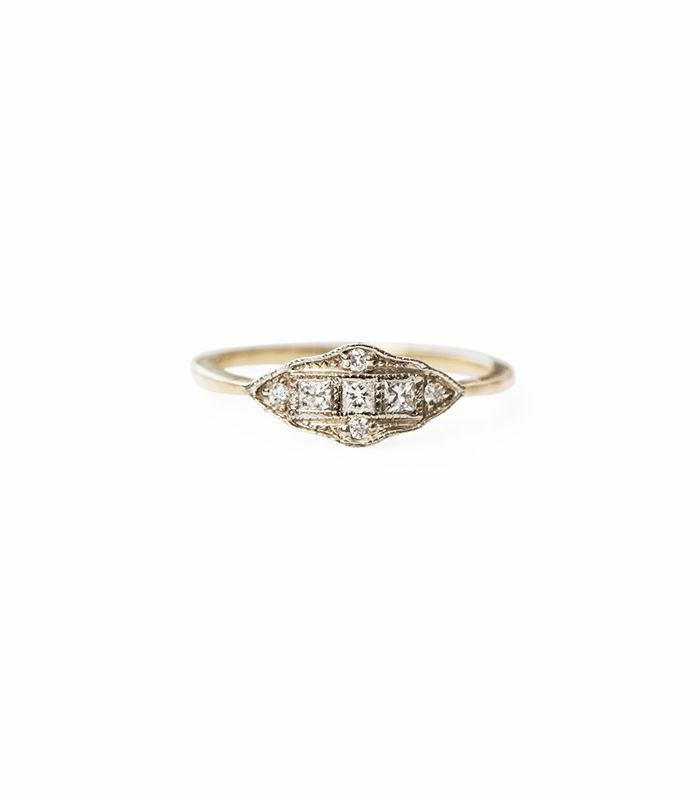 A single white baguette diamond makes a case for choosing an understated ring. 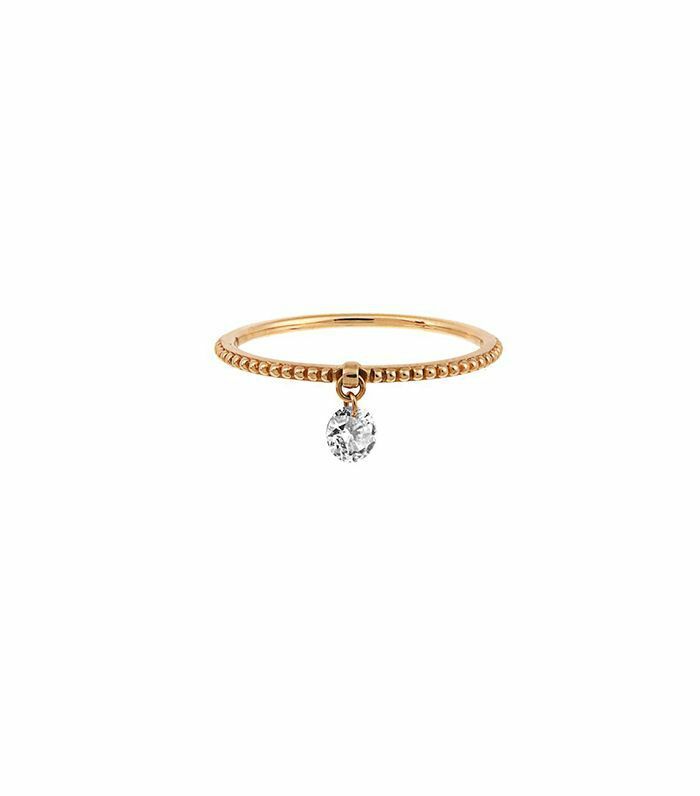 The curved shape of this ring stacks easily with existing jewelry. Dainty and petit, this free-floating white diamond glints in the light.